Forum: Show your rides! Topic: 64 Impalas post'em up! 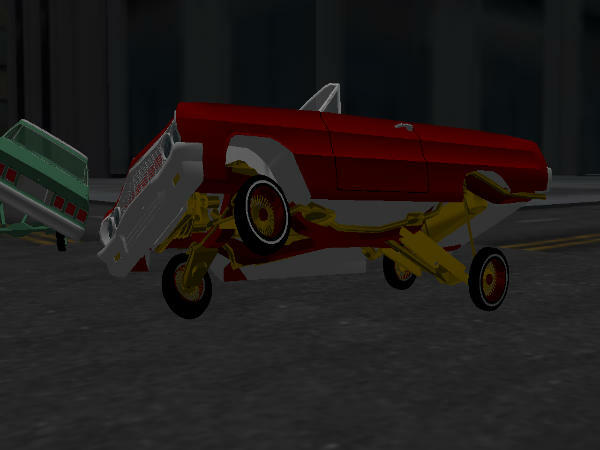 Post subject: Re: 64 Impalas post'em up! all red with gold guts did i get the perfect gold? Forum: Show your rides! Topic: What Do You Think? what do you think about the mural? hey druid how come we cant get it on ipod?? THE CLUB IS SLOWLY GROWING! Post subject: STRAIGHT CUSTOM C.C. when is the free version coming out?